My Dodge - Home of Dodge Car Enthusiasts. Above: Dodge Coronet Convertible. Photo from 2012 Mopar Nationals. 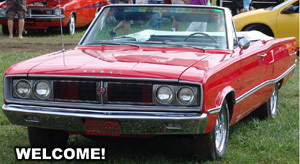 Welcome To My Dodge - The home of Dodge Car Enthusiasts. The My Dodge site was built for Dodge car owners to show off their rides and non owners to find out more about Dodge Cars. Our site includes the internets largest collection of featured Dodge Cars, Dodge Information, Dodge Photos, Mopar Links and much more. Own A Dodge Car? 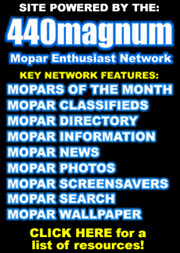 We are currently seeking Dodge car's to feature on the MyDodge.com site. Here is your chance to show the world your Dodge car. We welcome any classic or modern Dodge Related car model including Charger, Challenger, Coronet, Caliber, Dart, Daytona, Magnum, Neon, R/T, Stratus, Super Bee, Viper and more. Click Here to have yours featured or updated! My Dodge is an independently operated mopar enthusiast Internet site and is not affiliated with or sponsored by Chrysler Group LLC. Dodge, Chrysler, Plymouth and Mopar are trademarks of Chrysler Group LLC and are use here only for descriptive purposes.